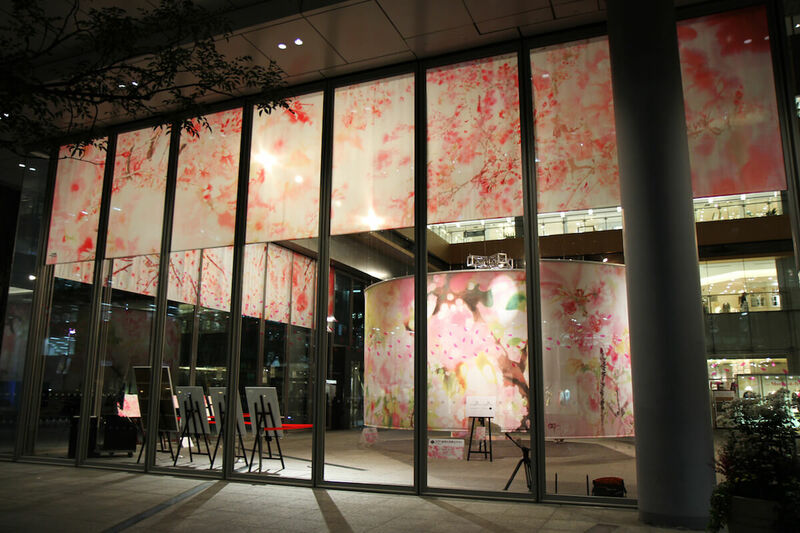 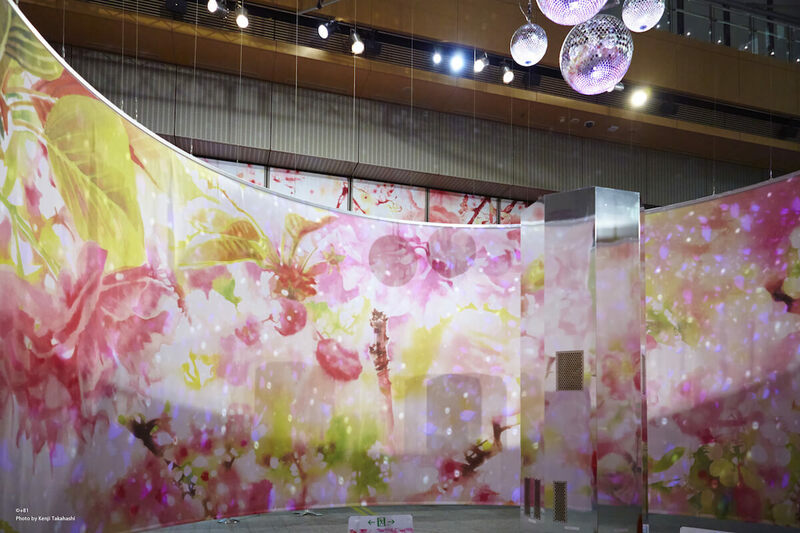 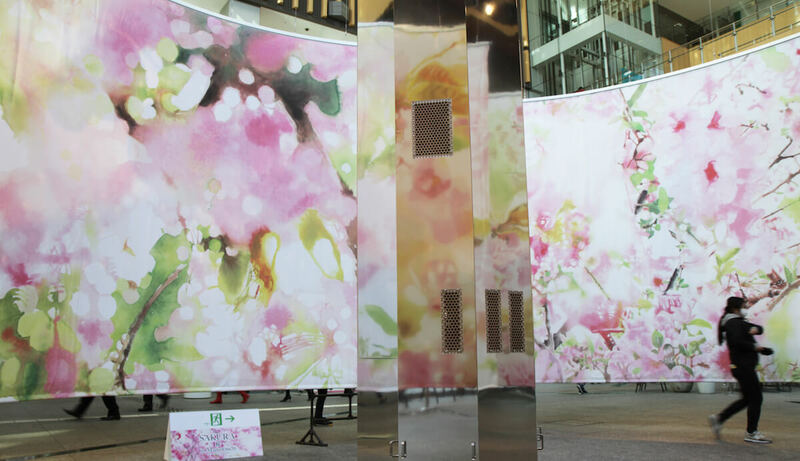 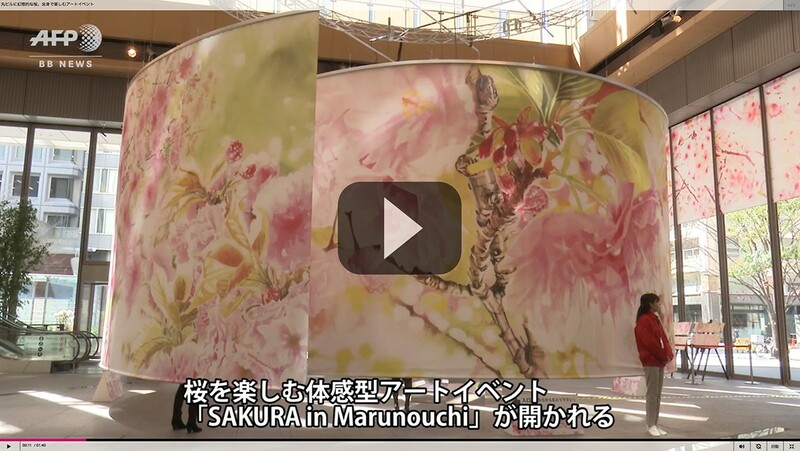 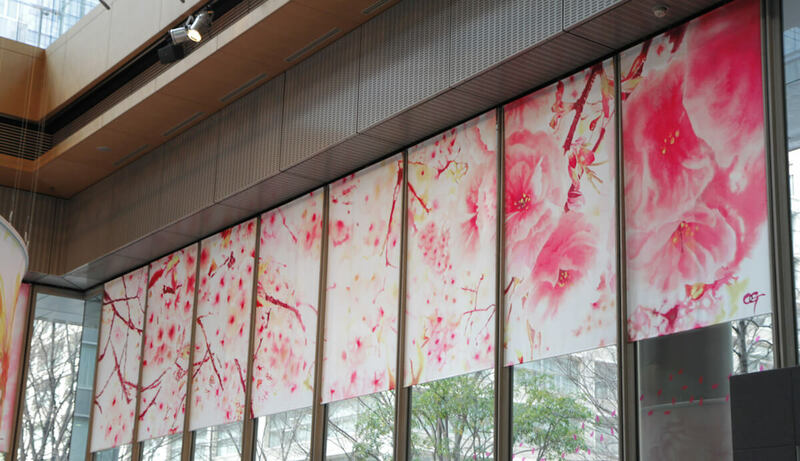 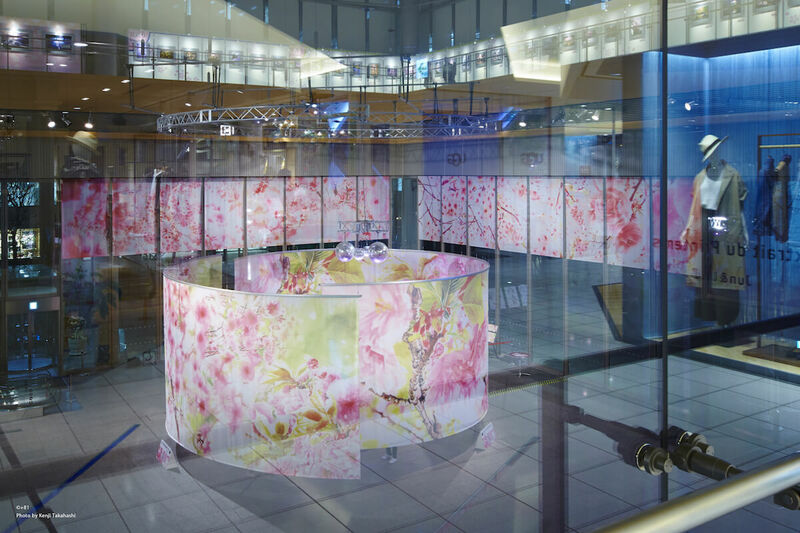 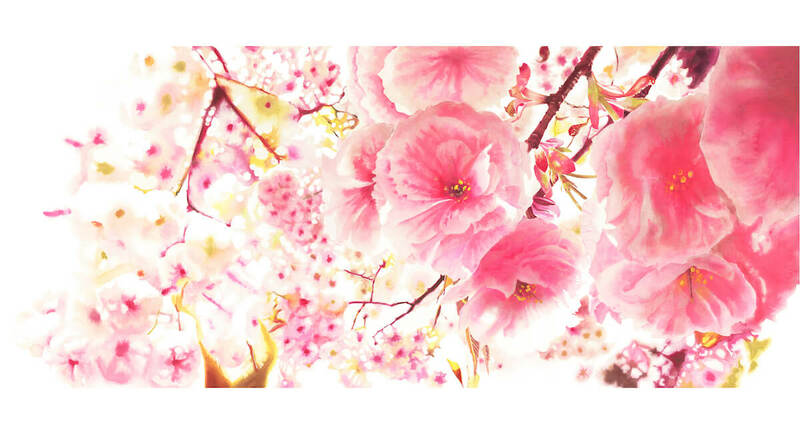 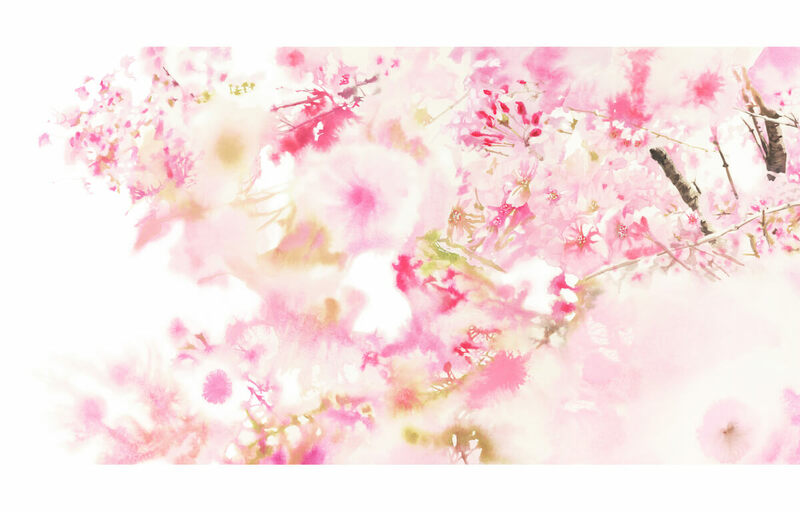 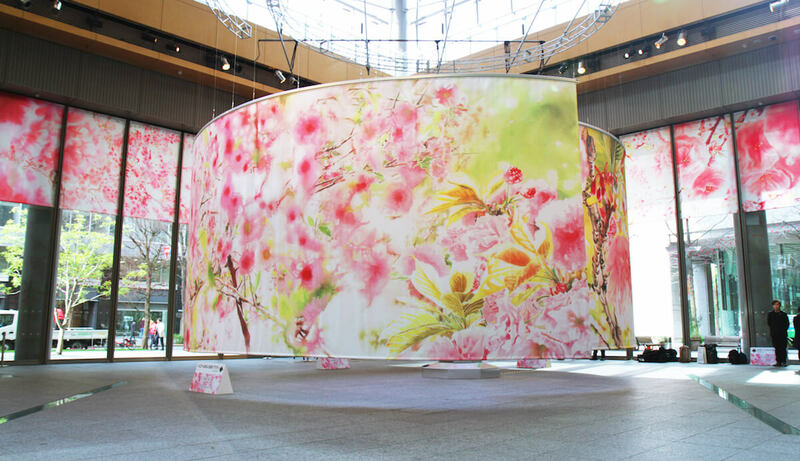 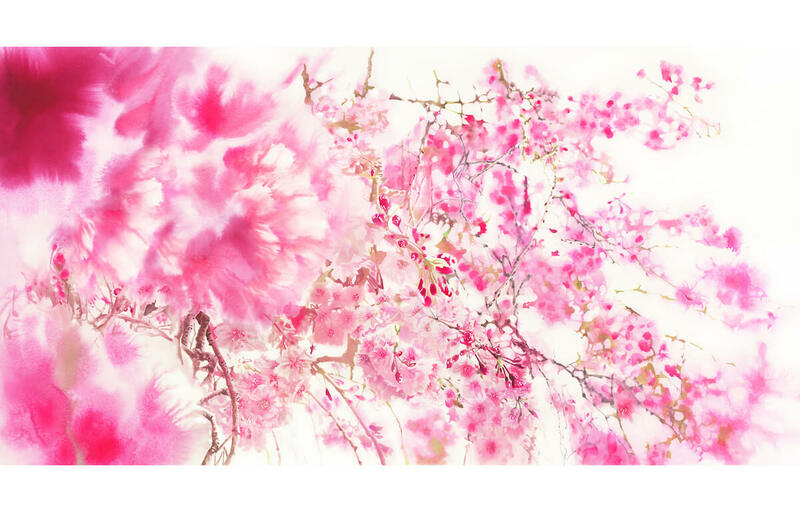 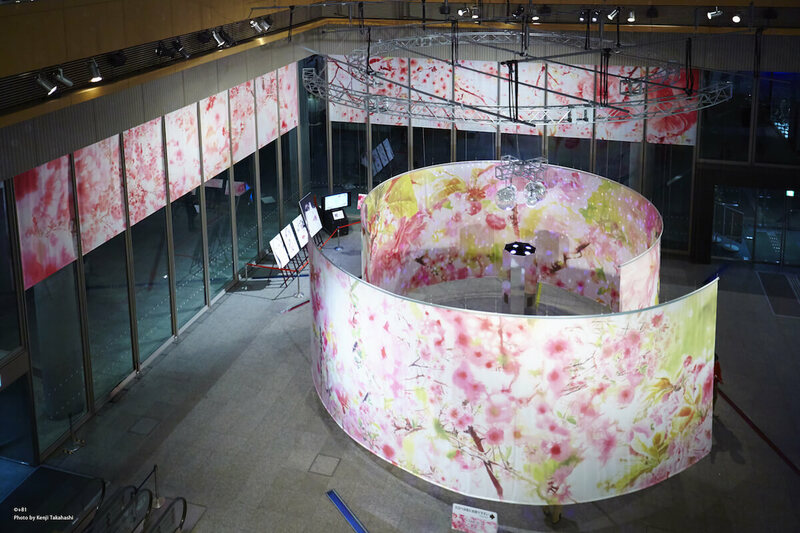 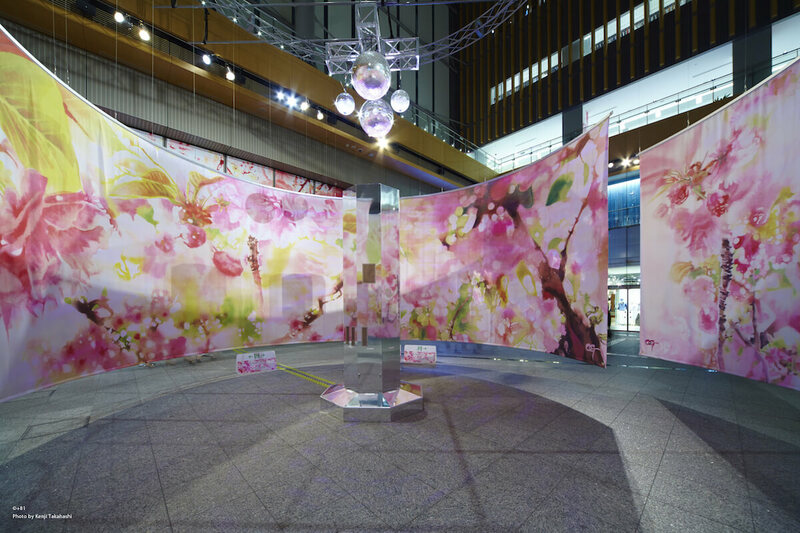 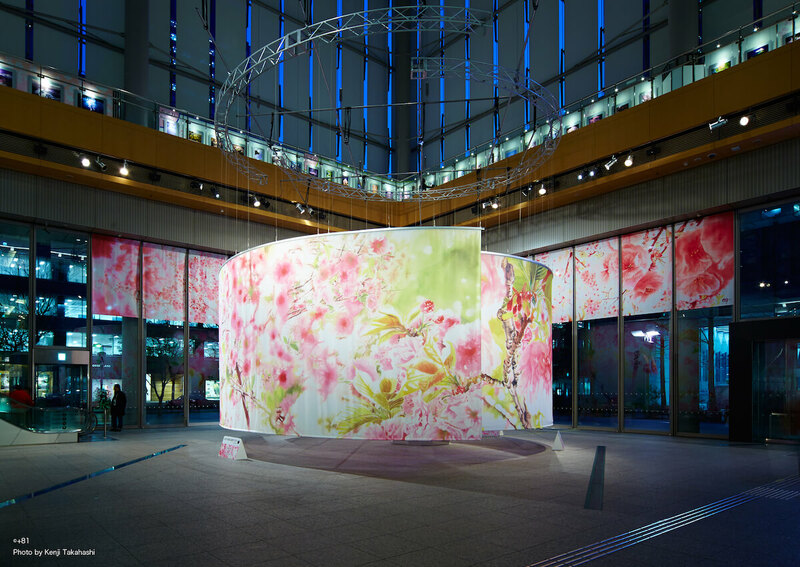 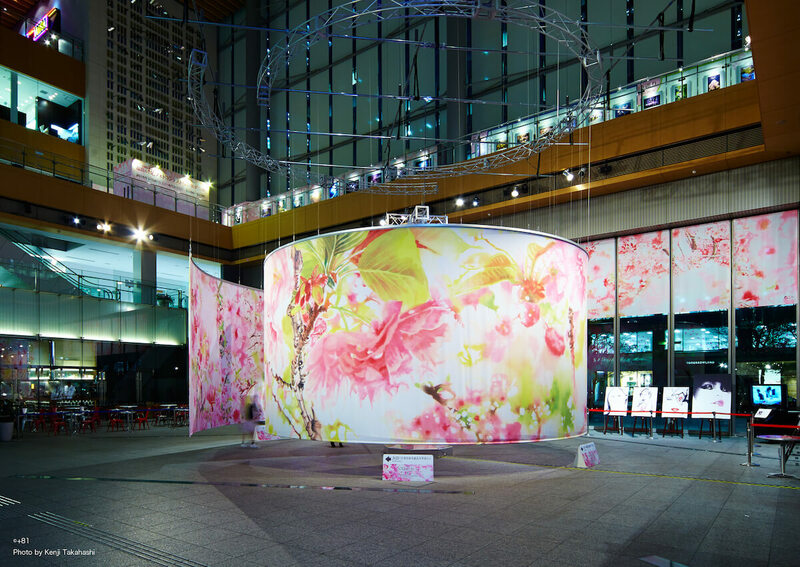 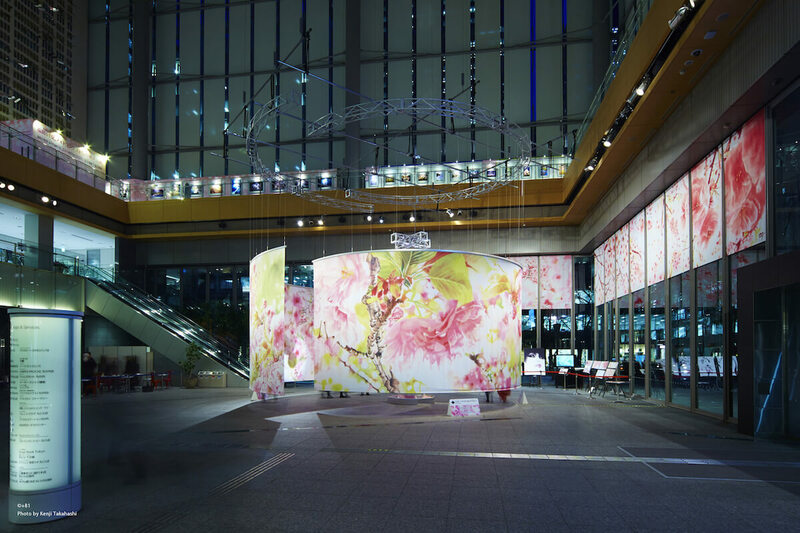 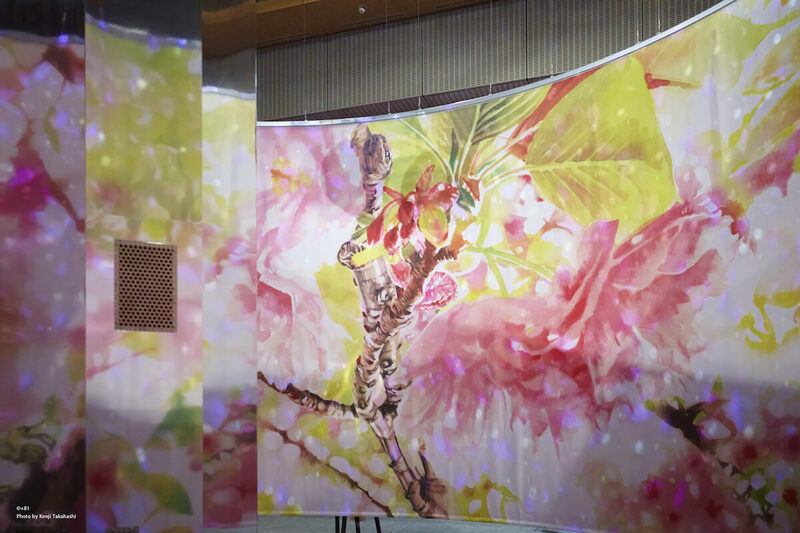 Immersive Art Installation of Giant Blown-up Artwork with “Sakura (Cherry Blossoms)” Theme. 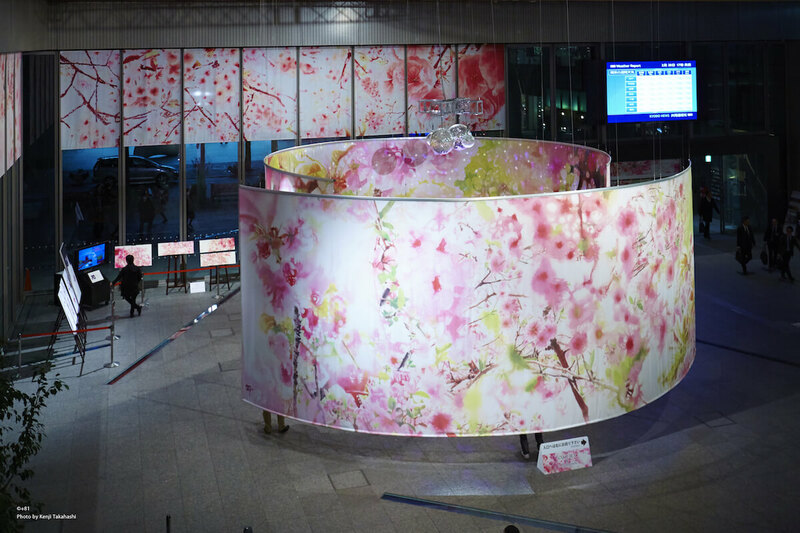 A record number 40,000 people visited the installation. 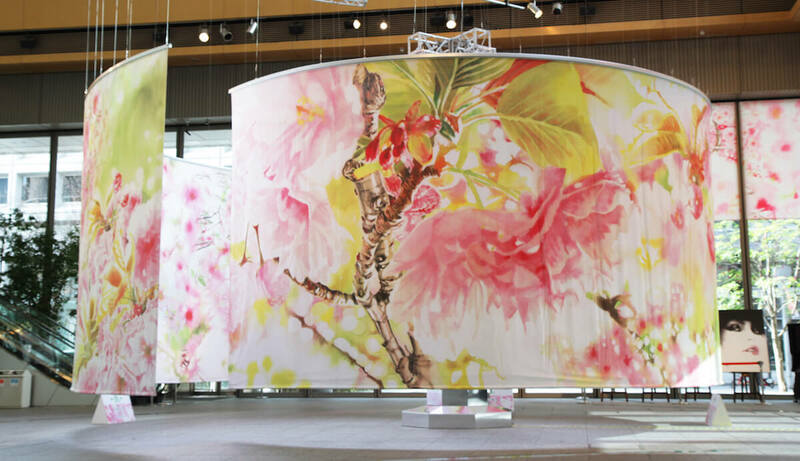 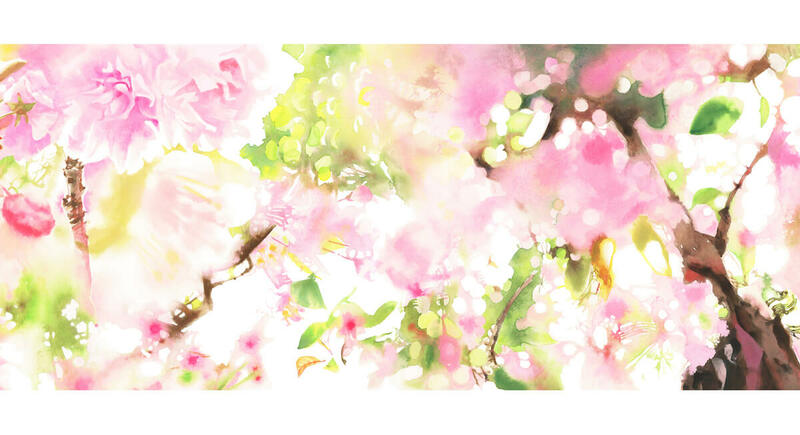 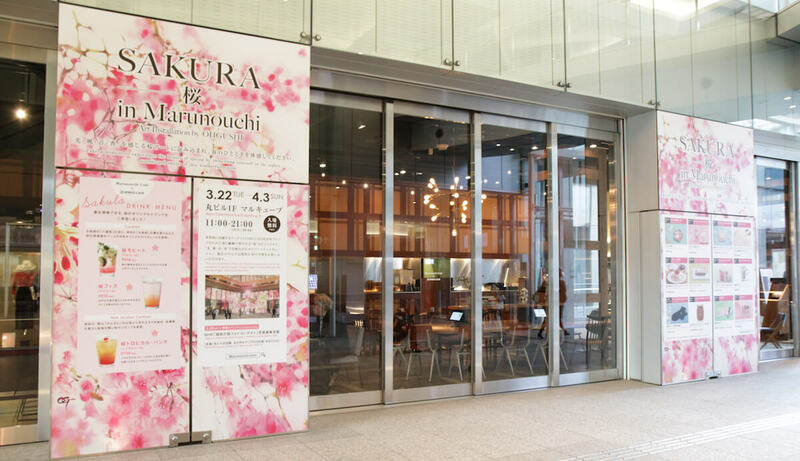 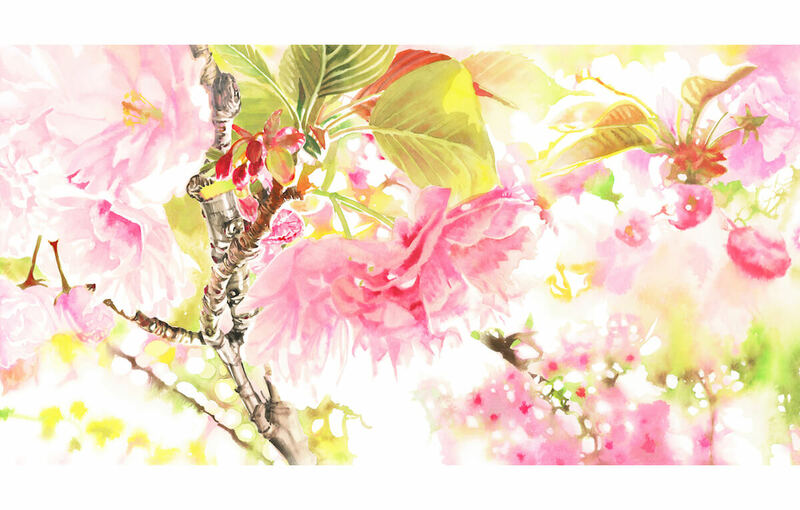 A giant artwork where OHGUSHI’s new “Sakura” series will be presented on two circular walls (18m wide x 4m high & 12m wide x 4m high). 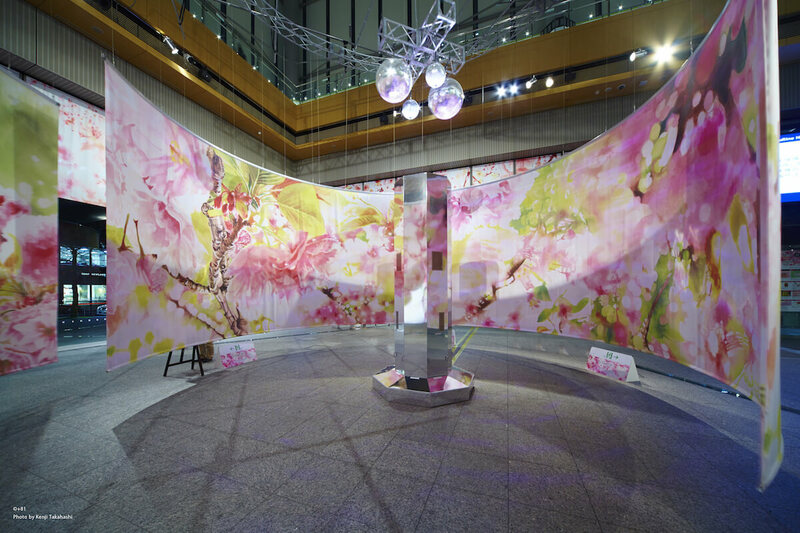 A tower at the center generating wind, sound and fragrance, together with a mirror ball projecting lights, as if coming through trees, will create an illusionary cherry tree-lined street. 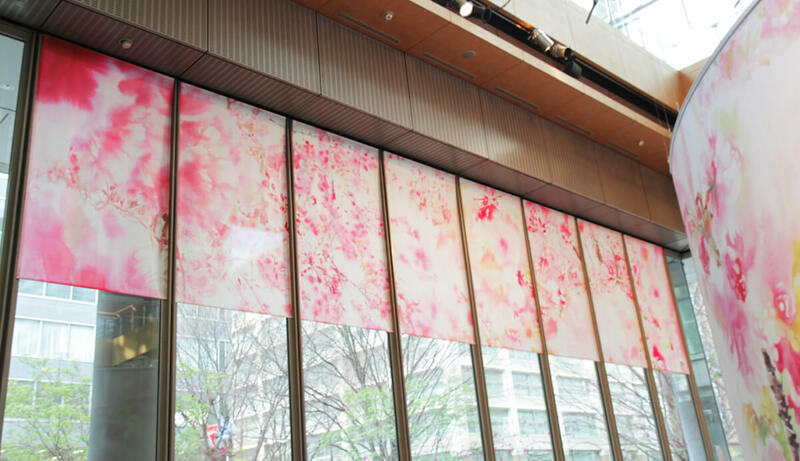 The new artwork will also be displayed on the giant glass walls on two sides in the venue. 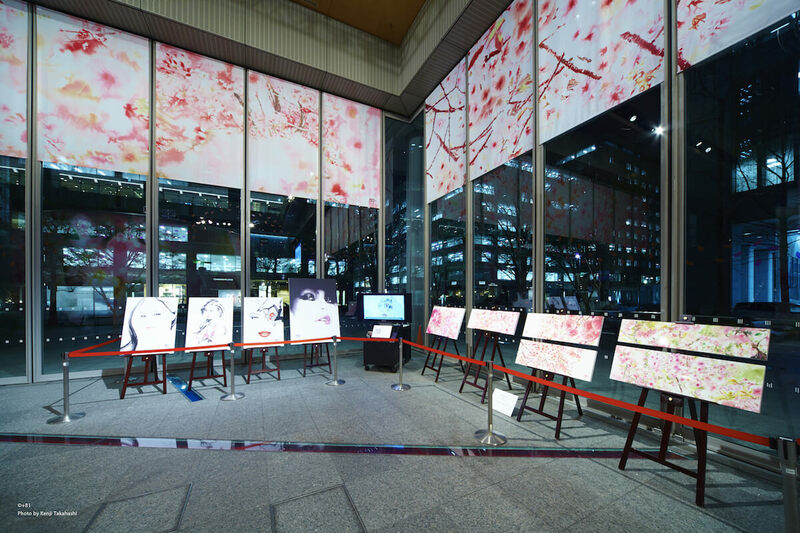 A booth showcasing OHGUSHI’s original artwork will also be set up and a movie containing an interview with him will be projected inside the venue.